Alejandro Martinez, aka Alex M always had a deep passion for music since a very early age. At 11 years of age he was already listening to industrial, metal and hip-hop groups like Skinny Puppy, Ministry, Metallica, Slayer and A Tribe Called Quest. He started attending illegal raves and warehouse parties in 1996 at age 14 and soon found himself being captivated by the brilliant sounds of Global Communication, Aphex Twin, Underworld, Coldcut and Future Sound of London to name a few. He got his first taste of vinyl in 1998 when his room mate at the time purchased a pair of Technics-1200’s and started hosting after parties at their apartment - playing everything from progressive house, drum & bass, trance, deep house, and techno. After turning 21 he then started frequenting New York City nightclubs such as Crobar, Spirit, Cielo, Sullivan Room and the Arc where DJs such as Danny Howells, Danny Tenaglia and Sander Kleinenberg would play their infamous marathon sets. 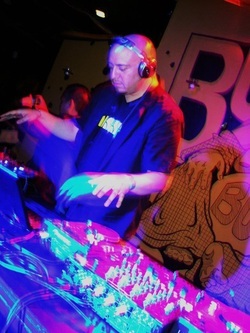 After making the decision to relocate to Denver, Colorado in March of 2009 and furthering his DJ career, he has been booked to play in various venues such as Club Rich's (Houston, TX) DEFCON 18 (Las Vegas, NV) and a string of Denver clubs and lounges like the Beatport Lounge (located inside of the world-famous Beta Nightclub), Mynt, Blue Ice, Minibar, and Funky Buddha, where legendary DJ Lee Burridge had a short-lived residency in 2006. Alex's unique and unorthodox mixing style allows him to fuse different genres together in a set flawlessly and has displayed these skills every time in his radio shows and live performances. Alex also held a weekly residency on Stream-FM (Bulgaria) where he had special guest DJs such as Chris Fortier (Fade Records), Dave Robertson (Reset Robot) and Anil Chawla (Global Underground UK). He has also received radio airplay from Danceradio.gr (Greece) and has been a guest DJ on Proton Radio and Frisky Radio many times. 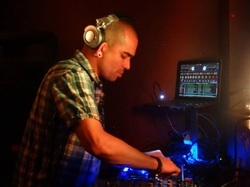 His sets have also reached DJMix.net's "top mixes" on various occasions and was given the opportunity to mix progcast 091 for Progressivehouse.com. Alex has been featured on DJ Korruptor's (Gareth Noyce) wildly popular RK2 podcast which is based in the UK and showcases some of the best up and coming DJs from around the world. He also holds a weekly residency on Innervisions Radio UK, which features DJs and producers such as Robert Babicz, Jody Wisternoff and Anthony Pappa. BRYAN C [Hemisphere Groove Collective : AboveGround Sound : Spooloflife) hails from Chicago, the birthplace of House music. Growing up in an artistic family in the entertainment and music industry he pretty much called nightclubs and performance venues his home since birth. As a child Bryan C produced and distributed his first mixes for friends and family by making mix tapes using the simultaneous record and play function of a two tape decks "boom box." Bryan C became an active force in the electronic music community in 1998 when he started E=MC2, the Electronic Music & Culture Coalition at Indiana University that held grand scale events like the annual Bloomington Electronic Music Festival and provided education to the public about the growth, and cultural influence of electronic music. 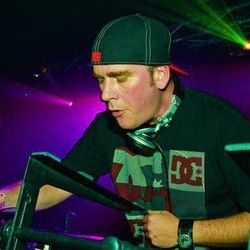 Two years later Bryan C held a founding role in the creation of the Bloomington Bass Syndicate which was an all-star promotional crew including two representatives from the top promotional crews in the midwest at that time, which combined talent and resources to throw large scale electronic events throughout Indiana and Illinois. A year later Bryan stepped behind the decks and assumed the name PhysioMente. Bryan C, who is also classically trained on the Trumpet, a former 1st chair holding member of the Chicago Brass Choir, the Greater Chicagoland Youth Symphony Orchestra, and has played 2 half-time solos on the center of the 50 yard line at the Indianapolis Colt's RCA Dome, has been DJing and a part of the EDM Industry ever since. Now going by his birth name of Bryan C or Bryan Christian, you can catch him laying down some Electro, Tech House, Jungle or Breaks. No matter what genre he decides to express, his mixes are always technical and his signature sound is always funky. Owner of Above/Ground Sound since 2000, member of the Hemisphere Groove Collective since 2012, Active member of TR4N5F1N1TYsystems since 2013, and Founder of Progressive Illuminations. Cesar is currently Affiliated with Hemisphere Groove Collective in which himself, along with a collective of like-minded DJ's with a driven passion for supporting the best sounds in underground electronic music, currently hold a weekly residency at Opal Sushi Lounge. To kickstart Cesar's interest in music, he was first introduced to underground raves in which he was captivated by its culture. Much soon after however, he would visit nightclubs regularly in which he would quickly define the sounds that captured his interest the most. Witnessing live sets by James Zabiela, Carl Cox, A Trak, & Boys Noize to name a few, is where his motivation to start DJing was born. Much like the Dance music scene in Denver, Cesar's style and taste in music has continuously evolved throughout the years. Versatility and forward thinking sounds are what drives his passion to DJing and sharing his interest in music with others. Selective choice in tracks and seamless mixing are highly noted during his sets. 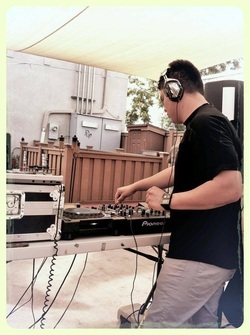 DJ BC took an interest in music at the young age of six, thanks to having two much older brothers and a sister. His beginnings found him enjoying many variations of rock especially Punk and Death Metal. Once he began attending school, he was exposed to different influences such as 80's Synth-Pop and Hip Hop. BC had always felt outcast from people, and music was always a comfort to him. Whether it was lyrics that made him feel understood, or melodies that put him at peace, music was his most inspiring escape. As the 80's later progressed he discovered the styles of Goth and Industrial music. This was heavily influential to him and later led to the musical project Aegrosomnia (latin for "a sick man's dreams). In 1989, BC's older brother bought him a guitar and he immediately began plucking away. He practiced as often as possible and became versatile and well learned. In 1991, BC attended his first rave in a dingy warehouse under the Colfax bridge in Denver. The new sound he found with the lights and crowd was compelling for him beyond words. He had never imagined such a gathering with such an amazing sound. While he very much enjoyed the different styles of electronic music, he was not very impressed by the DJ's. They only seemed to blend the tracks in a very basic way. He had little interest in spinning, but entertained the thought that if he ever did, he would incorporate samples from horror films and such to keep people on edge. Throughout the 90's he had formed and joined several bands which were Punk or Metal. During this time he had learned to play bass and piano. Never really finding his visions expressed, he began working on the project Aegrosomnia which later became Burn Circuit due to a trademark infringement. In this project he found himself channeling his influences in Goth, Metal and Industrial. The tracks he was building included samples from movies, electronic drum machines, synthesizers, keyboards, bass, guitar and his own voice. After he was finished with this project, he stepped away from the local live music scene and got back into the EDM scene. The vibes were much different and a relief from the aggression that often took place in the metal/goth bars. In 2002, BC saw DJ Bad Boy Bill who, from the very start of his set incorporated scratching, beat juggles and sampling with house music that BC only thought could be done in Hip Hop. After going to various parties never being impressed with anyone's mixing abilities, he now saw that it was possible in electronic music to go beyond just a simple blend in mixing. Right then and there he decided he must be a DJ. The following spring, he picked up a pair of Technics 1200's, a Pioneer 600 and a small variety of Break Beats and House. On day one he had no issue with beat matching due to a history of producing electronic beats with synthesizers. But it took about 6 months for him to polish his skills and feel comfortable spinning out live. It took an additional two years to really get scratches and beat juggles to a place where he would perform them publicly. BC found his comfort zone spinning German Hard Acid Trance and Hard Techno and stayed in this realm for many years. He built a wonderful fan base with these genres. In his first year he began performing at house parties and landed a Thursday night residence at a club called Kazmos with his partner DJ Random Intent. Under Nice Guys Ent, they promoted this into a successful night and kept with it for eighteen months. During this time, BC was playing shows with production companies such as Floor Bangers and Ryan Dykstra Nightlife. Over the next years, BC was resident with several clubs, played out for many different production companies and held residence with Big Johnson Entertainment, Utopia Beats, Sound Pharmacy, ECNIC and Blackout Productions. He has headlined many shows and has traveled throughout the United States to play. He has produced several tracks and is currently working on more. In 2008, he began to experiment in other genres like techno and minimal. He played this for two years before taking a year long break. in 2011, he made a comeback with a surprising change in to hard, dark Drum & Bass. While this genre is his passion, he also spins many of the electronic styles, while also playing Hip Hop, 80's, Rock and many others. He is currently resident to the number one bar in Denver, Punch Bowl Social and plays for many different companies and private events. If you're ever looking for a great night out, BC is the one to make it happen for you. Tom Schoppet originally hails from Virginia but now lives in Denver, Colorado. 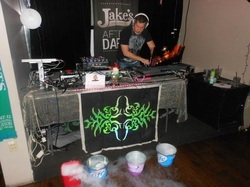 He's been entrenched in the EDM scene of Denver for well over 12 years now, starting off promoting local DJs and throwing small shows where the concentration was on quality music highlighting various genres. After many years actively avoiding the craft of DJing he finally took the plunge and taught himself in 2010. He constantly strives to bring his own unique blend of programing and combination of different styles every mix. He has a live internet broadcast called "Cerebral" on www.lowercasesounds.com every Tuesday night, often showcasing amazing local talent from Colorado's deep pool of amazing DJ/producers.